December Mid-Month Review: U.S. Stocks Surge on Tax Reform and Bitcoin Shoots Higher - Inukshuk Capital Management Inc.
December 18, 2017 /in Market Update /by Inukshuk Capital Management Inc.
Wall Street extended its record-setting pace in December, as Republicans converged on a new tax reform bill that is expected to add nearly $1.5 trillion to the federal debt over the next decade. In alternative assets, Bitcoin prices more than doubled as some major exchanges officially entered the cryptocurrency market. Wall Street rose throughout December en route to record highs anticipating that the Trump administration has finally secured the votes it needs to pass a new tax bill. Under the latest bill, the corporate tax rate will be reduced to 21% from 35%. Individual tax brackets will also be simplified, with the top rate of 37% applying to singles making $500,000 or more. The Dow Jones Industrial Average added around 1.5% through the first two weeks of the month and on Dec. 15 settled at 24,651.74. The large-cap S&P 500 Index gained 1.1% to reach 2,675.81. Implied volatility in U.S. equities also declined after rising sharply at the start of the month. By Dec. 15, the CBOE VIX Volatility Index was back in single-digit territory. The VIX usually moves in the opposite direction of the S&P 500 and can be considered a measure of market fear or complacency. Canada’s benchmark S&P/TSX Composite Index returned to record highs earlier this month with financial and mining stocks providing a boost. The index settled at 16,136.59 on Dec. 13, overcoming the previous peak set in October. However, since hitting record highs, the TSX has shed around 100 points. Although not well represented in the TSX, Canadian marijuana stocks rose sharply this month as investors anticipate a major boost to producers ahead of widespread legalization next summer. Bitcoin’s impressive run continued in December as investors considered the arrival of derivatives trading on established exchanges. On Dec. 11, the CBOE Futures Exchange launched its Bitcoin contract (XBT), a move that stoked even more buying interest in the digital asset. 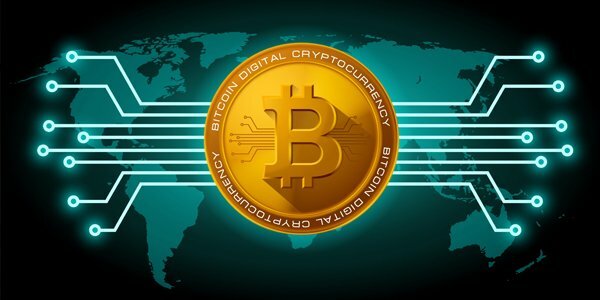 This weekend the BTC/USD exchange rate approached $20,000 prior to the CME Group launch on Sunday of its own version of a Bitcoin futures contract (BTC). The world’s most active cryptocurrency has more than doubled since Dec. 1, and now has a market cap of more than $300 billion. Market participants can expect a quieter few weeks amid the holidays, as traders pause for Christmas at the end of the week and consider positioning going in to the New Year. Stephen Ohlemacher and Marcy Gordon (Dec. 16, 2017). “With votes seemingly secured, Republicans revel in all-but-certain tax reform deal.” The Star. Darla Mercado (Dec. 15, 2017). “Find your new tax brackets under the final GOP tax plan.” CNBC.